TEHERAN, IRAN (June 7, 2017) – It is the first time that ISIS managed to attack the Iranian State directly. 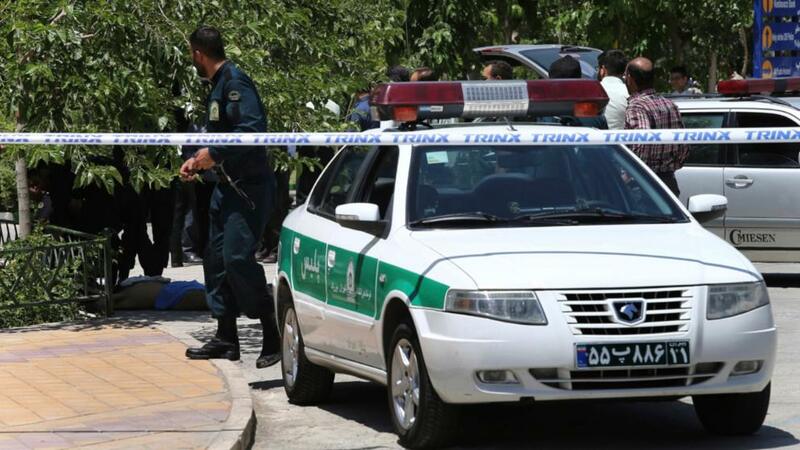 Suicide bombers and teams of gunmen stormed Iran’s parliament and the nearby shrine of Ayatollah Ruhollah Khomeini on Wednesday, killing at least 12 and injuring dozens of people. They stormed the parliament building, opening fire on Iranian lawmakers and security guards during an ongoing session. The attackers triggered an hour-long siege at the parliament, at the end four assassins were dead. Three of them were shot and one burst into the air. The IS had repeatedly threatened Iran with attacks. In March, the Sunni extremist group published a video in Persian, threatening to conquer Iran and give it back to the Sunni Muslim nation. Like other Sunni extremists, the IS militia considers Shiites as unbelievers and regularly attacks them. In addition, Shia militia sponsored by Iran are deployed in both Syria and Iraq fighting ISIS and opposition groups. Teheran is a faithful supporter of Syria’s President Bashar al-Assad.